‘Jatiya Sahitya Prakashani’, Odisha observed its fourth Annual Function on 7th September 2014 evening at Biju Pattnaik Film & TV Institute Auditorium, Katak. 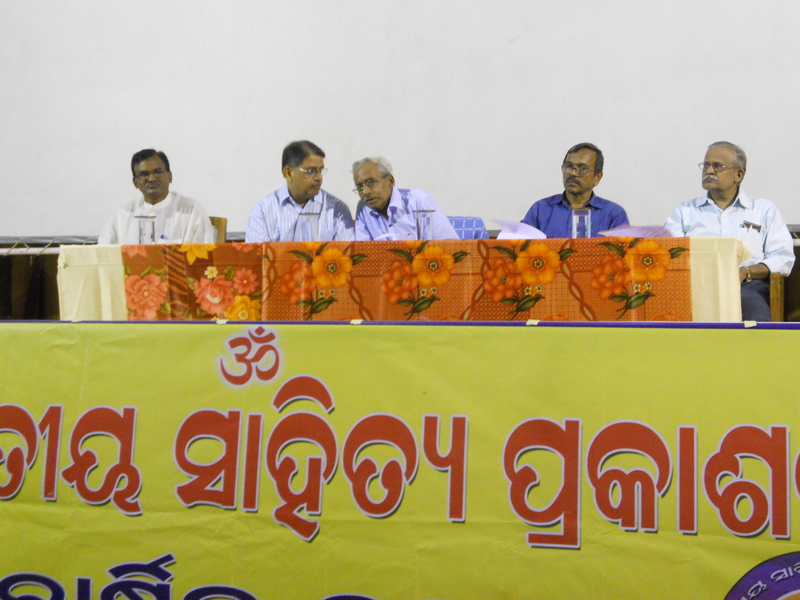 Prof. Dinesh Prasad Pattnaik presided over the meetting. Noted Educationist, writer and ex-Assit Director of School & Mass Education Department of Govt. 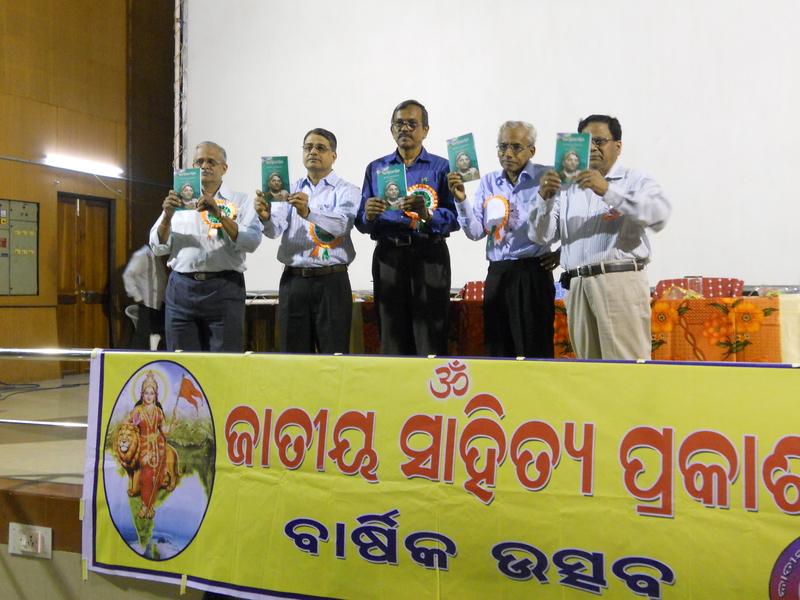 of Odisha Sri Baishnaba Charan Mohanty graced the function as chief-guest. He observed that change is inevitable but that should cause development and welfare of the society . He put stress on preservation and sanctity of language and literature and appealed to the publishers to publish books which would enrich knowledge and culture. Noted journalist and former Executive Editor of India Today Hindi edition Shri Jagdish Up asane who was the chief-speaker rued that today’s media is controlled by Corporate Houses who are running the media as profit making business and industry . Journalism is no more a mission. Media has deviated from its objectives of informing, educating and inspiring. Profit making has become the motto. There is no element of national interest. He also said that emergence of new media or social media has eroded the role and relevance of traditional media including print and Electronics media. So traditional media should evolve the solution, it should cope with the changing time in order to survive. Shri Shiva Narayan Singh, Secretary of Jatiya Sahitya Prakashani conducted the programme.
. V .S.Joglekar proposed vote of thanks.